After coming so close to winning at the Shell Houston Open, Sung Kang will be very pleased that his current form continued this week at the PGA Tour RBC Heritage, played at Harbour Town Golf Links. Kang finished T-11th and will be full of confidence heading into next week’s event. KJ maybe not so much after a four over par final round. To be fair, at the moment, making cuts consistently is the main goal of the Korean players on the PGA Tour. Once that is achieved, they can set their sights higher. 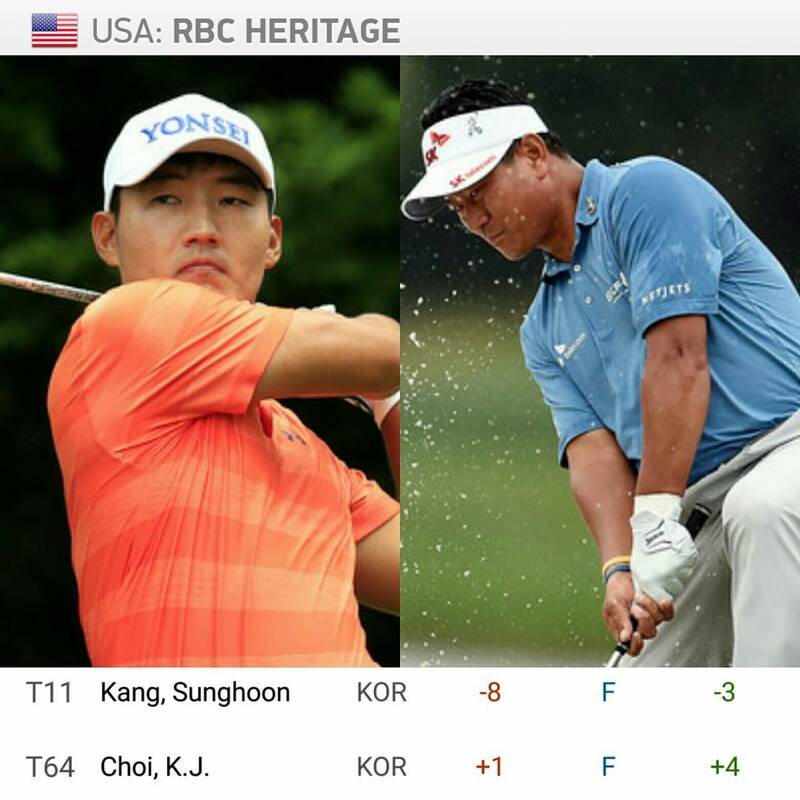 Kang can certainly look to improve again next week, so lets wait and see what happens.